In an idyllic spot of breathtaking beauty, surrounded by hills covered in thick evergreen forests, discover a unique resort in central Bhutan — the Chumey Nature Resort. 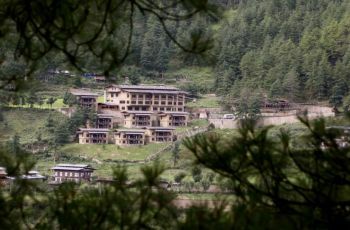 Founded in 2008 Chumey Nature Resort, a 3-star category resort as rated by the Tourism Council of Bhutan, lies in the Bumthang Valley in Central Bhutan, a region approximately 2800 metres (9186 ft) in elevation. It is an idyllic spot of great natural beauty, the surrounding hills covered in thick evergreen forests, the valley floors a pattern of golden fields, and clusters of village homes built in the traditional style unique to Bhutan. Away up on the hillside amidst the cascading pines sits the Chumey Nature Resort, a blend of contemporary and traditional architecture, barely visible yet commanding a grand view of the surrounding valley. A 5-minute drive along a feeder road off the main highway brings one up to the resort. Across from the Chumey Nature Resort, one can view the historic site of Domkhar Tashichholing Palace, home of the second King of Bhutan. The ruins of the 16th Gyalwa Karmapa, Rangjung Rigpe Dorje's Monastery lie further afield. The recently restored Buli Lhakhang Dorje Lingpa (1346 - 1405) is located across the Valley with Tharpaling Goemba perched on the hillside above it. Not far off lies Nimalung Monastery, famed worldwide for its masked monk dancers, and the cluster of village homes around the noble house at Prakkar that gave the second King his Queen. All these treasures lie within walking distance from the resort, giving one ample opportunity to explore the heart of Bhutanese culture and history. For the determined hiker there is the recently developed Heritage Trekking route between the Trongsa and Chumey Valleys, at the end of which one will find the Chumey Nature Resort a perfect and convenient haven of rest and relaxation after your day's trip. The main town of Chamkhar lies at the foot of Bumthang's most important dzong, Jakar, which is about 20 minutes further east, across the low picturesque Kekela Pass. A day's sightseeing will enable you to take in the famous Jambey and Kurjey Lhakhang temples. Enjoy a pleasant walk along the Bumthang Chhu river from Kurjey to Tamshing's old monastery. Round out your day with a visit to the famous Swiss-founded cheese factory, and if you like, a visit to Jakar's dzong after business hours. Visit the holy lake of Membartso (The Burning Lake), where a wooden bridge strewn with colorful prayer flags crosses the river gorge. According to legend, only the enlightened will spot the sacred temple concealed in the pool's dark depths. If you like a good hike, a trip to the hilltop Ugencholing Palace is in order. 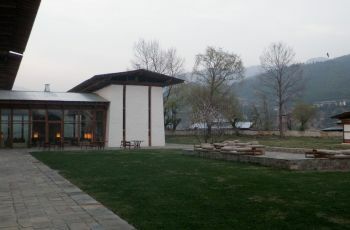 This 16th century manor house now houses a Museum that offers a unique insight into the lifestyle of a Bhutanese noble family. Ura can be taken in yet another day trip, always returning to the quiet intimacy of Chumey Nature Resort. Chumey Nature Resort is the sole provider of accommodations and hospitality services in the Chumey Valley. 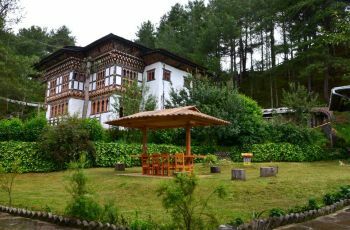 Our resort is located in a quiet valley away from other tourist facilities in Bumthang, offering the discerning traveler a peaceful respite apart from the tourist trail. Our staff is proud to serve you with a personal touch that is the hallmark of Bhutanese hospitality. Druk Air and Tashi Air operates two domestic flights from Paro International Airport to Bumthang. 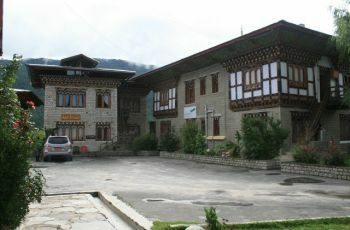 The Bumthang domestic airport is located about 27km from Chumey Nature Resort. Do you own/manage Chumey Nature Resort ?